This is the second of four articles that explore Encountering Christ in Harmony: A Pastoral Response to Our Asian and Pacific Island Brothers and Sisters (ECH:API), which was approved by the USCCB on June 14, 2018. Encountering Christ in Harmony outlines four concerns—Identity, Generations, Leadership, and Culture of Encounter and Dialogue—and examines each one through two lenses: our faith expressed and our faith engaged. The first lens, our faith expressed, views the stories of Asian and Pacific Island (API) Catholics as part of the larger Catholic tradition, and at the same time, emphasizes the uniqueness of particular communities. The second lens, our faith engaged, provides suggestions for a pastoral response to specific API Catholic needs and challenges. 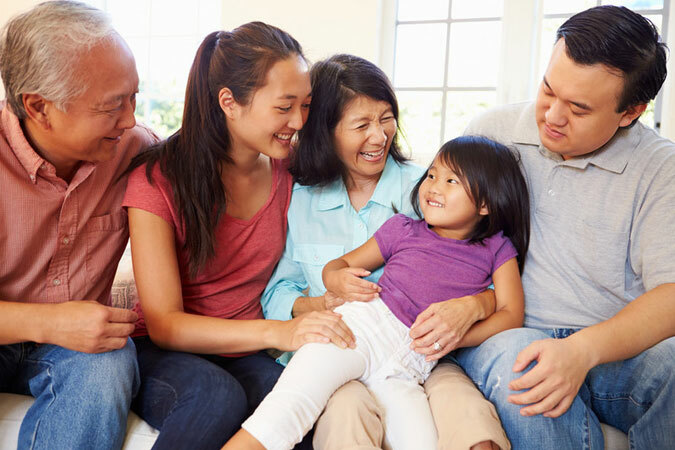 ECH:API teaches that family is an integral part of every API community. For many, the cultural value of acknowledging generations past and present parallels an understanding of the Church’s tradition. The beginning of the Gospel of Matthew, for example, lists the many generations that preceded Jesus, stretching back to Abraham and Sarah and continuing through a complex list of colorful characters. API family structures provide the foundation for reflecting on and discussing generational concerns. Collaborate with native speakers to learn and teach prayers in API languages. Including native speakers will help to assure correct written expression and pronunciation and that proper context/protocols (if any) are observed. Promote intergenerational dialogue among families. For example, identify a core family value, and describe ways in which that value is passed on from one generation to the next. Expand resources for marriage preparation programs. With the increase of interethnic, ecumenical, and interreligious marriages in the United States, there is a need for more resources in native languages that address these concerns. In addition, catechetical events and forums can provide dialogue on sensitive topics that may not be addressed successfully in domestic settings, such as cohabitation before marriage or interracial and interfaith marriages. Plan ecumenical, interreligious, and intercultural gatherings. For second-generation API young adults, consider offering regular opportunities to share and reflect on the diversity of faith practices, traditions, and spirituality with their peers in similar stages of life (e.g., single or married, with or without children). Also consider building relationships with neighbors by sponsoring ecumenical, interreligious and/or interethnic events (e.g., potluck gatherings, major holiday celebrations, art shows, etc.) during which religious, cultural, or ethnic traditions could be shared, honored, and celebrated. As we continue to build bridges of understanding of and support for Asian and Pacific Islanders in our parish communities, we become better servants of Christ and bearers of his love for all to see. 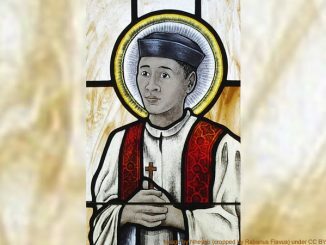 Read the first article in the series: Asian and Pacific Island Catholics: Identity and Our Gifts to the Church. Explore the wisdom of elders from around the world in Sharing the Wisdom of Time by Pope Francis and Friends. A big part of what forms my API identity is the presence of extended family living in the same house. My grandparents lived with us until death, and my uncle – who is disabled because of a series of stroke – currently lives with us. Decisions include them e.g. a family vacation, where to celebrate christmas, etc.. 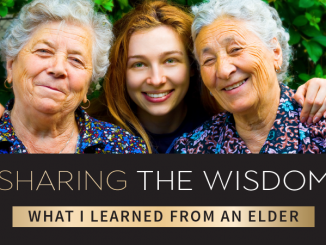 Whereas in American culture, senior housing and retirement communities are prevalent, this is different from an API perspective of keeping the family close together. My mom has joked that when my brother and I “grow up” that she will have us to take care of her instead of strangers. Having my uncle live with my family has taught me more about being the body of Christ and taking care of the body of Christ. Whereas people can see what my family does as a ministry, I just see as a normative part of life.